Alarmed folks have hit out at online networking site Facebook after arbitrators declined to bring down the page undermining a 'slaughter'. The "MontyMassacre" Facebook page – which went online on Sunday in a clear copycat occurrence – shared a photo montage of a few present and previous understudies, some of whom communicated their stun and ghastliness at being incorporated, and said there was 'not long left'. The page additionally cautioned more roughness would occur at the school on Friday before disppearing from the site late on Sunday. Stressed folks who reported the page said they were told by Facebook arbitrators the substance was adequate. Facebook's open Community Standards states: "We painstakingly audit reports of debilitating dialect to recognize genuine dangers of mischief to open and individual security. We evacuate valid dangers of physical mischief to people. We likewise evacuate particular dangers of burglary, vandalism or other budgetary mischief." Yet, stunned clients who reported the page were told: "The page hasn't been uprooted on the grounds that it doesn't conflict with the Facebook Community Standards." Thornton father Derek Huyton, who reported the page for 'valid dangers of brutality', was only one of a few folks whose dissensions were rejected by Facebook arbitrators. He said he was stunned the dangers were not considered important. 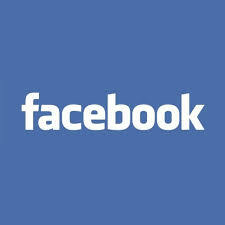 He said: "Facebook as of late banned a photo of another mother breastfeeding a child. It had been accounted for nakedness. Maybe we have to recall that Facebook is situated in the USA where dangers like this can be and have been completed. It really makes me more astounded they didn't make prompt move." In an online networking post, Tracey Gritt, who got the same reaction, said: "Clearly Facebook don't feel that debilitating to shoot at a school is viciousness. Are they without a doubt?" But Facebook's Community Standards Guidelines went ahead to state: "Reporting something doesn't promise that it will be uprooted on the grounds that it may not abuse our approaches. "Not all unpalatable or exasperating substance damages our Community Standards. Hence, we offer you the capacity to tweak and control what you see by unfollowing, blocking and concealing the posts, individuals, pages and applications you would prefer not to see."